Contribute monthly via Patreon (which includes perks), make a one-time donation through Paypal, or buy us a coffee. I’ll be posting notes about my research all month long on Patreon. 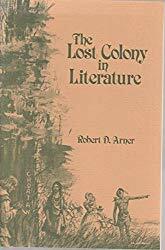 Arner, Robert D. The Lost Colony in Literature. America’s Four Hundredth Anniversary Committee. North Carolina Division of Archives and History, 1985. At first, I debated over whether to include anything about the Lost Colony. There is quite the cottage industry devoted to what happened to the first English colony in North America (technically, it was the second) after they vanished from their impromptu settlement on Roanoke Island c.1590, during Elizabeth’s war with Spain, leaving only a cryptic clue or two in the form of a name (“Croatoan”) carved into a tree. I could probably spend a month on books about this legend alone. But the thing is, the Lost Colony is the very beginning of the English history and folklore in North Carolina. It’s one of the first non-Native American legends, the first big mystery. And it keeps popping up in the ghost collections I’ve been reading due to some paranormal elements having been attached to it later on. So, let’s check this one out. I picked The Lost Colony in Literature because it deals with all of these myths and how they grew up over the centuries. Theoretical reasons for the Lost Colony’s disappearance range all the way from death by hostile locals to assimilation by friendly locals to starvation to drowning in a storm while trying to evacuate to nearby Hatteras Island to disease to aliens (yes, aliens). Supernatural did an episode called “Croatoan” in season two that implied the colony fell prey to demons using it for a hellish kind of germ warfare (a theory the Elizabethan era English probably would have endorsed, since many early English settlers believed North America was Satan’s realm). Sleepy Hollow even did an episode in season one where the ghosts of the Lost Colonists showed up, speaking (of all things) Chaucerian English, and suffering from the bubonic plague that killed them. Since this short academic chapbook came out in 1985, as part of the 400th anniversary of English settlement in North Carolina, it doesn’t cover the more recent theories (including the alien abduction one). But it does do a pretty thorough overview in three areas: the initial reports of the colony’s disappearance and the contemporary reaction in England (more brief and muted than you might think now), the revival and romanticization of the mystery during the Victorian era, and the commercialization of that romantic myth in the 20th century. Arner has some rather acid things to say about how, like the first Thanksgiving, the Lost Colony was forgotten as an early failure until the young United States’ concerns with creating new origin myths brought it back to life early in the 19th century. The Lost Colony was elevated from a doomed experiment of dumping a bunch of working class Englishpeople on a hostile shore to a heroic first planting of English roots in American soil. One particular set of legends centers around the first English baby born in North Carolina – Virginia Dare. There were older children who came with the expedition, and one other baby born shortly after Virginia, but Virginia was the granddaughter of the expedition’s leader, so she gets all the limelight. We never hear about the other kids. The Victorian era and 20th century stories Arner writes about ignore the harsh realities of Elizabethan child mortality rates when they rhapsodize on and on about a Virginia Dare who grew up in the wilds of North Carolina, a white Pocahontas (or her mother), the perfect English pioneer princess gone native. The cold statistical reality that Virginia, more than likely, didn’t survive infancy, is carefully ignored. She still dies tragically in these stories (and a virgin). She just does so after she’s hit puberty. The legend of her as a ghostly white doe first appears in Sallie Southall Cotten’s The White Doe: The Fate of Virginia Dare in 1901. In the story, she is wooed by a heroic young Native American. A jealous sorcerer of the tribe turns her into a white doe. Just as her young beau shoots her with an arrow to change her back, a third man shoots her with an arrow that kills her as soon as she does. No problematical marriage night for Virginia. Since then, the story has evolved that you might still see Virginia roaming about as a ghost deer. As she dies in the story, her blood creates the sweet Scuppernong grape, famous for getting North Carolinians drunk since before the English ever set foot on its shores. Victorian literary cheese at its finest. Dare County on the Outer Banks (where you’ll find Roanoke Island) is named after her family. Did you enjoy this review? You can help keep the project going by contributing monthly via Patreon (which includes perks), making a one-time donation through Paypal, or buying us a coffee. 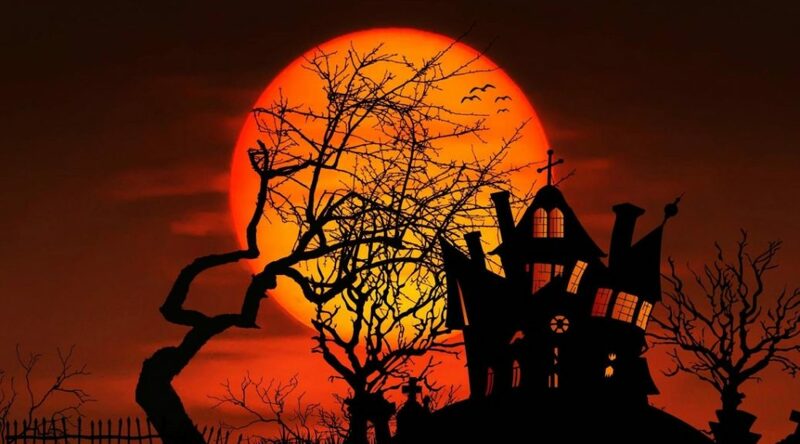 And don’t forget to check out my ghostly folklore notes all month on Patreon!